Abbotsbury Court Dental Practice. We treat you with care and respect. The prices shown are presented as a guide and may change according to a patient's individual needs. Estimates will be given at time of initial assessment. The charge you pay depends on the treatment you need to keep your mouth, teeth and gums healthy. You will only ever be asked to pay one charge for each complete course of treatment, even if you visit your dentist more than once to finish it—either Band 1, Band 2 or Band 3 ( please see below) . This covers an examination, diagnosis ( e.g. X-rays ) , advice on how to prevent future problems, a scale and polish if needed, and an application of fluoride varnish or fissure sealants. If you require urgent care, if your urgent treatment needs more than one appointment to complete, you will only need to pay one “Band 1 ” charge. If you do not have to pay dental charges because you are exempt, you will be asked to show your dentist written proof that you do not have to pay for all or part of your NHS treatment. You will also be asked to sign a form to confirm that you do not have to pay. If your name is on a valid HC3 certificate, you may not have to pay for all your treatment. Checks are made on free and reduced cost treatment claims. If you say you have the right to free treatment when you do not, you may incur a penalty charge. In our practice, we treat patients politely and with respect, recognising their dignity and rights as individuals. We also encourage patients to be involved in decisions about their care and, before embarking on any aspect of patient care, we seek their consent to do so – recognising the rights of patients to decide what happens to themselves. We recognised that patients have the right to refuse advice or treatments. We aim to provide each patient with sufficient information in a way that they can understand to allow them to make a decision about their care. 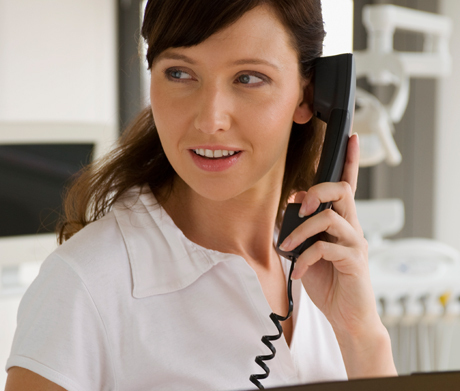 We will use various communication tools to make certain that the patient understands what is being suggested. We encouraged patients to ask questions and aim to provide honest and full answers. We always allow patients time to make their decisions. We always make sure that the patient understands whether they are treated under the NHS or privately and what the costs will be. Where a patients embarks on a course of treatment, we provide a written treatment plan and cost estimate. Where changes to the treatment plan are needed, we obtain the patients agreement and consent, including to any changes in the cost. The patient is given an amended treatment plan and estimate. When this occurs we will not put pressure on the patient to reconsider, but where we feel its is important, we will inform the patient of the consequences of not accepting the treatment. Every person aged 16 or over has the right to make their own decisions and is assumed to be able to do so, unless they show otherwise. We recognise that in some circumstances, children under 16 years, may be able to give informed consent to examination and treatment. Where we have doubts about a patients ability to give informed consent, we will seek advice from our defence organisation.